We are a flexible, innovative and results-oriented developer of residential and commercial property. U.S. gross domestic product (GDP)—the value of all goods and services produced in the country—totaled $18.6 trillion in 2016; construction contributed $784 billion (4.2%). In Texas, construction contributed $91 billion (5.6%) of the state’s GDP of $1.6 trillion in 2016. Thus, construction’s contribution to GDP in the state was more than the industry’s 4.2% share of U.S. GDP. Construction wages and salaries in 2016 totaled $411 billion in the United States, including $45 billion in Texas. Nonresidential spending in the U.S. totaled $713 billion in 2016 ($432 billion private, $280 billion public). Private nonresidential spending in Texas totaled $52 billion in 2016. State and local spending totaled $28 billion. Nonresidential starts in Texas totaled $46 billion in 2016, according to ConstructConnect. Construction (residential + nonresidential) employed 6.9 million workers in July 2017, an increase of 191,000 (2.8%) from July 2016 and a decrease of 1.1 million (13%) from April 2006, when U.S. construction employment peaked. Construction employment in Texas in July 2017 totaled 713,000, an increase of 1.5% from July 2016 and a 0.4% decrease from the state’s peak in March 2017. Annual pay of all construction workers in the United States averaged $58,600 in 2016, 10% more than the average for all private sector employees. Construction workers’ pay in Texas averaged $61,700, 12% more than all private sector employees in the state. The United States had 653,000 construction firms in 2015, of which 92% employed fewer than 20 workers. Texas had 39,100 construction firms in 2015, of which 90% were small (<20 employees). *The Bureau of Labor Statistics reports employment for construction, mining and logging combined for metro areas in which mining and logging have few employers. To allow comparisons between states and their metros, the table shows combined employment change for these metros. Not seasonally adjusted statewide data is shown for both construction-only and combined employment change. Construction firms added jobs in 38 states and the District of Columbia over the past 12 months, but they reduced headcount in 27 states between May and June, according to an analysis today of Labor Department data by the Associated General Contractors of America. Association officials said the employment gains help, but that construction employment remains below peak levels in every location except North Dakota. Florida led all states in percentage and total gains in construction employment (11.5 percent, 41,700 jobs) between June 2013 and June 2014. Other states adding a high percentage of new construction jobs for the past 12 months included Nevada (10.5 percent, 5,900 jobs), Utah (9.3 percent, 6,800 jobs), North Dakota (7.9 percent, 2,600 jobs) and Minnesota (7,900 jobs, 7.8 percent). Other states adding a high total of new construction jobs during the past year included California (29,800 jobs, 4.7 percent), Texas (19,100 jobs, 3.1 percent), Pennsylvania (13,000 jobs, 5.8 percent) and Minnesota. Twelve states shed construction jobs during the past twelve months, with New Jersey losing the highest percent and total, (-8.1 percent, -11,200 jobs). Other states that lost a high percentage of jobs include Alaska (-5.5 percent, -900 jobs), New Hampshire (-4.4 percent, -1,000 jobs) and New Mexico (-3.9 percent, -1,600 jobs). Besides New Jersey, other states that lost the most construction jobs between June 2013 and June 2014 included Arizona (-4,500 jobs, -3.6 percent), Alabama (-2,700 jobs, -3.4 percent) and Kentucky (-2,400 jobs, -3.6 percent). Twenty-one states and D.C. added construction jobs between May and June. Florida (8,800 jobs, 2.2 percent) added the most jobs, followed by Illinois (3,500 jobs, 1.8 percent), Indiana (2,700 jobs, 2.2 percent) and Pennsylvania (2,700 jobs, 1.1 percent). South Dakota (4.3 percent, 900 jobs) had the highest percentage increase for the month, followed by Florida, Indiana and Montana (2.2 percent, 500 jobs). Twenty-seven states lost construction jobs for the month, while construction employment was unchanged in Arizona and New Mexico. California (-9,500 jobs, -1.4 percent) lost the most construction jobs between May and June. Other states experiencing large monthly declines in total construction employment included New York (-3,700 jobs, -1.1 percent), Oregon (-3,600 jobs, -4.5 percent) and Texas (-3,400 jobs, -0.5 percent). Alaska (-7.7 percent, -1,300 jobs) experienced the highest monthly percentage decline, followed by Oregon, Rhode Island (-2.9 percent, -500 jobs) and Hawaii (-2.2 percent, -700 jobs). Association officials noted that the number of states adding new construction jobs for the month declined compared to the prior month. Uncertainty around the future state of federal infrastructure funding prompted some construction firms to put expansion plans on hold, officials suggested. They urged the Senate to enact a House-passed bill that keeps federal transportation funding at current levels through May of next year and act on unfinished appropriations bills to fund other infrastructure measures. “It is hard for firms to grow when they don’t know how much work will be available in just a few weeks,” said Stephen E. Sandherr, the association’s chief executive officer. He added that a series of measures designed to make it easier for states to attract funding for infrastructure that the president announced yesterday should help boost construction employment. View the state employment data by rank and state. America is in desperate need of more trades people as employment levels surge and older workers leaving the industry are not being replaced by new apprentices, a leading economist within the building industry in the United States says. In a recent statement, Associated General Contractors of America Chief Economist Ken Simonson said a surge in both hiring and offering worker overtime was encouraging, but pointed to a looming shortfall of workers and would eventually push up wages and trade prices. Simonson’s comments come as growing momentum within the American building sector leads to more demand for skilled labor. Whilst public construction spending remains flat, private spending on multi-residential and single residential buildings during March was up 13 percent and 33 percent year-on-year respectively, whilst a surge in communication related infrastructure has seen non-residential spending jump 8.6 percent over the same period. Because of this, the total number of workers employed surged to seven year highs of 6,000,000 in April and unemployment (9.4 percent) is at seven year lows, with key hot areas including Monroe in Michigan, El Centro in California, Pascagoula in Mississippi and Idaho in Washington. At the same time, the size of the workforce is shrinking. As trades people retired or left the industry due to poor conditions during the post-GFC downturn and the number of new apprentices coming through dropped, AGC now says the industry has 1.1 billion fewer workers than it did four years ago. That is hurting everywhere. Doug Dhon, of Colorado based Dhon Construction recently told the Coloradoan newspaper there was a shortage of drywallers, plumbers, framers, masons, electricians and other skilled occupations, and that he did not have a signal project on the books that was adequately staffed with suitable trades – a situation which meant he and others were struggling to deliver work within agreed timeframes. “When you can’t adequately man your projects, it puts you in a very hard spot for time” Dhon said. Association officials say there has been a drop in the number of secondary-level construction training programs over the past few years, and have called on the governments at all levels to adopt measures to help schools, construction firms and local trade associations to conduct training programs for future workers. 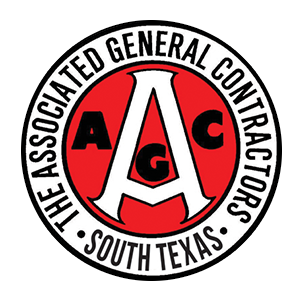 “If elected and appointed officials don’t act soon to improve the quantity and quality of training opportunities for future workers, many construction employers will struggle to find the workers they need” AGC chief executive officer Stephen E. Sandherr said.